Women of color in academia are at a crucial crossroad. Within the inherently biased and unwelcoming academic culture, compounded by massive budgetary cuts and trends towards corporatization in universities nationwide, underrepresented groups increasingly find themselves targets of bullying, harassment, and dismissal. Sadly, the vast majority continue to endure the violent onslaught feeling helpless and isolated – unable and sometimes unwilling to seek assistance or simply unaware of how to begin to advocate for themselves. Parallel to this dismal reality, however, is the growing movement of scholars speaking up against the injustices in academe. This trend is led in part by the impactful publication of Presumed Incompetent: The Intersections of Race and Class for Women in Academia (2012 Eds. 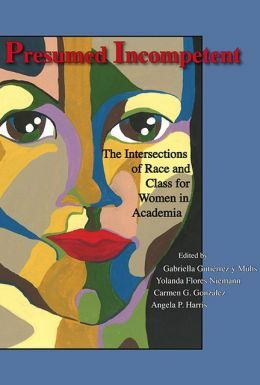 Gabriella Gutiérrez y Muhs, Yolanda Flores Niemann, Carmen G. Gonzalez, and Angela P. Harris, Utah State University Press). Few texts in recent years have had such a rippling effect in the non-self-reflective world of academia, and the book has inspired a tsunami of support for change within the system. Presumed Incompetent makes very clear the dark realities of extremely discriminatory practices in academia based on race, gender, class, sexuality, and their intersections. In the introduction to the volume, two of the four editors, Angela P. Harris and Carmen G. González, critically examine how the inherent contradictions that exist in academia – blindly perceived as bastions of fairness, truth, free-expression, and meritocracy, are anything but for women of color. Presumed Incompetent is then organized into five parts: Part 1, “General Campus Climate,” Part 2, “Faculty-Student Relationships,” Part 3, “Network of Allies,” Part 4, “Social Class in Academia,” and Part 5, “Tenure and Promotion.” In the final chapters, “Lessons from the Experiences of Women of Color Working in Academia,” editor Yolanda Flores Niemann extrapolates key quotes from each of the sections in the anthology resulting in the formulation of valuable lessons that serve as tools for positive change in academia. Indeed, this section brings together the combined insights of the editors and contributors and offers individual and collective strategies to transform the academic workplace. Finally, the fourth editor of Presumed Incompetent, Gabriella Gutiérrez y Muhs, provides the “Afterword,” which underscores the unique historical moment we occupy and the opportunity for individual and collective action to move academia towards a more positive, equitable, and inclusive direction. Though Presumed Incompetent also includes white men and women contributors who discuss their experiences as “allies,” the core of the volume is written by women of color in diverse fields of study who openly share their deeply personal stories and provide empirical studies that document the micro- and macro-aggressions against women of color in academe. The combined testimony of how administrators, faculty, staff, and students are allowed to discriminate, undermine, bully, exclude, and otherwise harm women of color scholars firmly shatters the fallacy of civility in academia. The brave voices of the contributors are especially noteworthy since, as editors, Harris and Gonzalez carefully explain in the “Introduction” that some would-be writers backed out of the project or refused to participate based on different forms of fear -– including fear or retaliation for breaking academia’s code of silence. With just the first pages of the text, I immediately recognized the importance of this instant classic. Possibly the most striking contribution of this 555-page volume is how, after reading the diverse experiences of these women in the academy, I was forever transformed, knowing my struggles were shared by so many. Each story validated my own experiences and allowed me to feel a sense of solidarity with the book’s authors. I also reached out to one of the book’s editors, Carmen Gonzalez, who graciously provided advice in the days just prior to the due date of my tenure appeal. With the book and the support, I recognized that my situation was far from unique and was really a part of larger systemic ills that have been too well hidden over numerous decades. …most of the women I knew were forced–if they wished to become part of the academy–to blindly follow a yellow brick road without road signs, an imaginary and supposedly ethical yellow brick road, at best only described peripherally by others. This interminable road was supposed to lead us into a permanent position in an institution that was part of the American academy” (pg. 501). Presumed Incompetent serves, then, not so much as a road map to promised academic success, but rather as a map that alerts readers to the many landmines along the way. This anthology also served as a cold splash of water that woke me up to the reality of my situation and that of so many of us, while also answering the “what next?” question. Few books provide such outstanding insights about the realities of oppression, offer data to back up these claims, and then share practical strategies to tackle the existing injustices. Editor Yolanda Flores Niemann’s final chapter, “Lessons from the Experiences of Women of Color Working in Academia,” read like a wise mentor that you dreamt of having from the point you first fathomed a career in academia. Blueprints do not exist for women of color to succeed in the academy, but Presumed Incompetent comes very close. Beyond sending a lifeline to women of color academics in peril, editors and contributors of Presumed Incompetent have actively participated in conferences, workshops and symposia about women of color in academia, spoken on radio programs, and given interviews on academic blogs. Their collective hope and desire for change has created outstanding and inspiring conversations that have led to even more writings in journals, anthologies, and blogs. One of the most powerful tools of the oppressor is to silence the other; hence, our strongest weapon against the violent assaults in academia is our voice. We must tell our stories. Reading the testimonials of the brave women in Presumed Incompetent and later personally hearing the many yet-unwritten experiences of other scholars emboldened me to find my voice and gave me the courage to more loudly and boldly speak of my story and help others find their voice to fight for justice. Connecting with other women through Presumed Incompetent, many of us realized that academic culture breeds abuse. As Harris and Gonzalez cogently articulated, “The culture of academia, ultimately, is impervious to change because its power structure is designed to reproduce itself” (p. 7). On the highly charged section of the book focusing on tenure, editors Harris and Gonzalez write, “These essays are also filled with the hope and faith that solidarity among women faculty of color and their allies will ease the way for the next generation of academics” (pg. 10). But, we know that academia remains unwelcoming and generally does not offer justice for women of color. Even with the most well intentioned allies in powerful positions, changes will unlikely come swiftly. Major restructuring of universities and colleges needs to take place before we will see fair representation and treatment of women of color. In the interim, we need to be vigilant of discriminatory practices and demand incremental change. We are perceived as easy targets for discrimination and dismissal based on these assumptions, and because our numbers are still kept disproportionately low in academic institutions, many wrongly surmise we are not capable of collective action. We stand today to say we are united in our struggles to fight off the institutional violent attacks against our personhood, work, and well-being, and vow to connect with others to assist and unite in raising our voices and demanding equal rights and justice (Fight the Tower Manifesto, http://fighttower.com/about.html). As one of the authors of the manifesto, I was inspired by Presumed Incompetent and by my own efforts to reach out to women of color who are battling bias to demand and fight for fair and just treatment. This book planted the seeds of activism – of a movement to hold academic institutions accountable for the continued discriminatory practices targeting women of color. We developed the Fight the Tower website, fighttower.com, to support women of color in their struggles in academia to share testimonials, offer practical resources, and serve as a clearinghouse of information. In solidarity, we support each other to survive, fight, and thrive in the academy. We are grateful that, finally, a text exists that shows beyond a doubt that discriminatory practices in academia against women of color are part of a real and prevalent phenomenon, not a figment of paranoia. From this point, we can work towards positive change. One common remark I heard from those who have read Presumed Incompetent is, “I wished I had this book when I started out in my career.” Presumed Incompetent is an absolute must read for anyone who is thinking of entering academia, for junior faculty but also senior scholars alike; because, as some of us have painfully learned, battling against status quo misconceptions of women of color competency – and our place in academia – does not end after tenure. Change starts with us. If you have or would like to have gatherings of faculty of color in your university in order to create networks of support, then use this book as the basis for a reading group. Connecting with colleagues is vital, but we should build our networks of support and extend the knowledge to our students, as well. For example, if you teach courses about social hierarchies, use selected chapters from the book to teach about microaggressions – including microaggressions in the classroom. Indeed, one faculty member who read the book now assigns it; instead of allowing the sting of microaggressions to fester or to chill her efforts to address difficult issues of race, gender, class, and sexuality, she actually uses classroom microaggressions as teaching moments – openly discussing them in relation to the lessons learned from the book. Ultimately though, if change is to happen, it is crucial we learn from Presumed Incompetent and implement its recommendations in our positions of power and influence. If you have, for instance, a good relationship with your dean, provost, or president, then buy them a copy of the book and use it a springboard for discussion. Even if you have contentious relationships with administrators, more reason to bring the publication to their attention so they can be aware of the important current conversations around race, gender, and class in the academy. We can build alliances across multiple divides, and administrators genuinely concerned with creating a healthy university environment, inclusive of diverse populations, would serve well to be receptive. Finally, Presumed Incompetent is also essential reading for those in the trenches of battle at their institutions who need a solid starting point to learn they are not alone and can take measures to demand their rights in academia. Presumed Incompetent started some very important conversations and provided a solid platform to move these conversations forward. As an invaluable reference, it certainly will survive the test of time. Kieu-Linh Caroline Valverde is Associate Professor of Asian American Studies at the University of California, Davis. She received her B.A. in Political Science and Ph.D. in Ethnic Studies at the University of California, Berkeley. 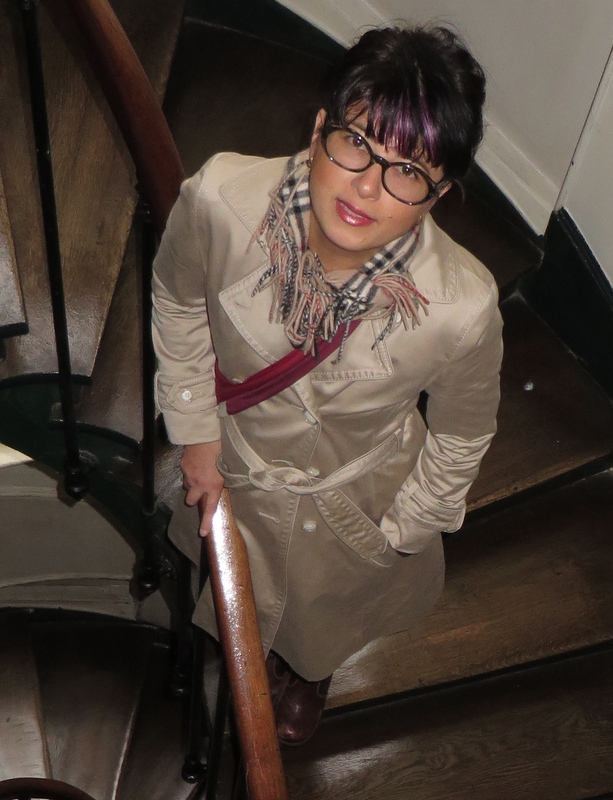 Her teaching, research, and organizing interests include Southeast Asian American history and contemporary issues, mixed race and gender theories, social movements, Fashionology, Aesthetics, Diaspora, and Transnationalism Studies. She authored Transnationalizing Viet Nam: Community, Culture, and Politics in the Diaspora (Temple University Press 2012). Professor Valverde founded Viet Nam Women’s Forum (1996-2006), a virtual community with hundreds of women internationally that mobilized for change in Viet Nam and abroad, and Fight the Tower (2013), a movement to resist and demand justice against discriminatory practices directed against women of color in the academy. Professor Valverde was a Luce Southeast Asian Studies Fellow at the Australian National University (2004), Rockefeller Fellow for Project Diaspora at the University of Massachusetts, Boston (2001-02), and a Fulbright Fellow in Viet Nam (1999). As a passionate advocate for the arts, she curated the exhibit Áo Dài: A Modern Design Coming of Age (2006) for the San Jose Museum of Quits and Textiles in partnership with Association for Viet Arts, and consults for the annual Áo Dài Festival held in San Jose, California (2011-present). I wrote a paper on how as members of the academic community our school SU channel islands should be more aware of these problems. A white male professor and white female professor assured me on our campus it was merely a selection based on merit and experience.